Pokemon GO is live in the United States. The app was put on the Apple App Store and the Google Play store shortly before 9 PM Eastern Time. The game had been previously released in Australia and New Zealand yesterday, and many fans were anxiously awaiting the game's release all day. 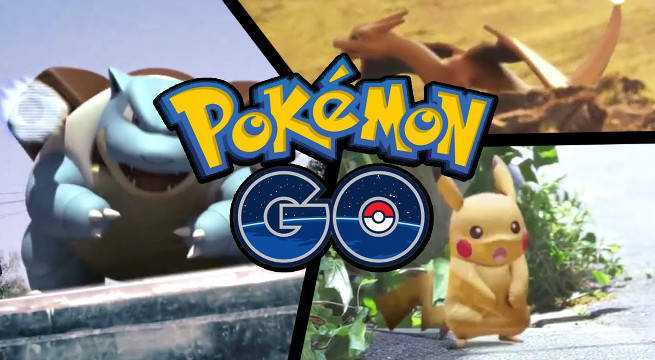 Pokemon GO is an "augmented reality" game that uses a smart phone's camera and GPS to simulate catching Pokemon in the real world. Players can also train their Pokemon in gyms and find PokeStops that correspond to real world landmarks. Eventually, players can join one of three teams that will battle for control of gyms and participate in regional events. The game is a "free to play" app, although there are optional microtransactions involved. In order to play, players will need either a compatible Android phone or iPhone and a Google Account or Pokemon Trainer's Club account.